They all get an “A” for effort and execution. 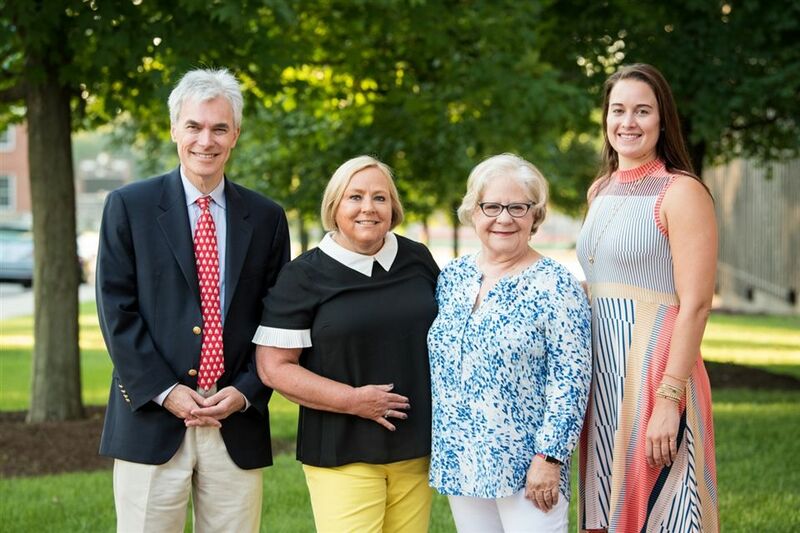 The Appleseed Awards, given in recognition of faculty members who have shown exceptional dedication to inspiring and encouraging Brunswick boys in their academic, athletic, and extracurricular pursuits, have been presented to Mary Alice Ackley, Michael Allwood, Kristina Norrgard, and Susan Smith. The Awards were established by the family of Sam ’11, William ’12, and Jamie MacFarlane ’16 as a way of thanking Brunswick faculty members for their dedication, commitment, and positive impact. In addition, the Awards seek to recognize the vital role that faculty members play in developing the character of Brunswick boys and in identifying, nurturing, and channeling the enormous potential within each Brunswick student. Kindergarten teacher Mary Alice Ackley first arrived at Brunswick in 1990 and has been a fixture in the Pre School for nearly three decades — touching the lives of literally hundreds of students in their earliest years of education. “She has given her heart and soul to Brunswick and finds true joy in working with our youngest boys, teaching them not only the foundational skills they need for academic learning, but also the essential skills necessary for positive social behavior and successful work habits,” Pre School Head Gina Hurd said. Michael Allwood, who joined the faculty in 1997, has offered a steady hand of guidance and mathematical intellect to all those students and fellow faculty who’ve been in his charge throughout his term of service. He is the Chair of the Math Department. Susan Smith began at Brunswick in 1999 and is a beloved third-grade teacher — infusing her work in the classroom with humor, compassion, and a real sense of joy. “Whether building vocabulary, reciting poetry, examining characters in a book, or simply enjoying reading for reading’s sake, Susan encourages her students to develop that love as well,” Lower School Head Katie Signer said. Kristina Norrgard is a relatively new face on the ’Wick faculty, arriving in 2014, but she has made her presence known in the classroom and as a coach since the very beginning. She teaches Biology and AP Psychology and assists with the water polo and swim teams. “Kristina has been a great addition to the science department in several facets, not the least of which is the myriad ways she embraces and manifests 21st century pedagogical objectives in her teaching strategies and lesson plan design,” Assistant Headmaster for Academic Programs Rick Beattie said. The Awards were presented during the School’s opening faculty meetings.